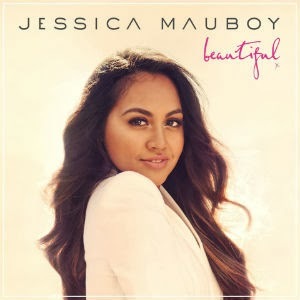 After our recent interview with Jess Mauboy, the singer admitted this was one of the most challenging albums to date following her last mo-town release. She admitted she wanted to head back to her first album of dance and R&B roots and also look at the 90’s for influence, citing such artists as Culture Beat and Corona. We first got a glimpse of the singer’s new material with lead track To the End of the Earth, the dance pop anthem that sets the tone for the overall album and recently followed this up by the similarly upbeat and fun second single Pop a Bottle (Fill Me Up). Then there are some other pretty impressive tracks for the rest of the album, that continue with an either R&B urban pop vibe or upbeat dance pop anthem. Take title track Beautiful, a high-energy dance number launches the album with soaring melodies, deep dance beats & synths and piano building into a charging chorus. I Believe has single written all over it! A dance stomper with a good dose of pop and a chorus that flies… this surely has to be the next single Jess! Then then R&B pop side of Jess is shown in tracks like Kiss Me Hello, Never Be The Same and I’ll Be There that all sing of new or existing love. Actually the ups & downs of relationships are a major theme throughout this EP, In Love Again sings of a new love, holding onto a relationship in Honest, and then the other end of the spectrum in Go (I Don’t Need You) which sounds like a Timbaland produced track telling her ex to basically take a hike, she’s over it and having a party to celebrate..! Interestingly the last track on the album Kick Up Your Heels that delivers a funky infectious ending features Pitbull and perhaps provides us with an answer to our secret pop crush question that Jess was quite coy about in our interview..! Overall the album is a strong collection of dance/R&B pop hits, which showcase the singer’s growth as an artist especially as she co-produced and vocally produced the album herself. This LP certainly will not disappoint you pop fans, as Jess has definitely found her groove and will cement her as one of Australia greatest and more adorable pop stars. Beautiful is available on iTunes now..!